Autus – The Hao2 Foundation exists to facilitate personal and professional growth for people with autism and complex needs, increasing opportunities for exciting and sustainable work to improve lives and prospects. We are a disabled people's user-led organisation set up to enable disabled people to purchase employability training and job coaching courses through a supportive route and benefit from a 20% VAT exemption, thereby making personal budgets go further. All our courses are personalised and supported online by experienced learning support officers, trainers, assessors and IT industry professionals. Our courses are predominantly accessed from a home connection and participants need to have access to a multimedia PC and basic IT skills including elementary knowledge of how to use email, the internet and instant messaging chat. If these are barriers to access, we can work with individuals to identify local community centres that can help them overcome these barriers to participation by creating local digital access points. GETSETGO Short courses using our 3D platform: Job coaching: £50 per hour (before discounts), £40 per hours when 6 hours or more are booked in advance Taster session provided on a 1:1 basis remotely via internet: £99 Taster course provided on a 1-1 basis in person £199 12 hours 1:1 personalised training and support £599 24 hours 1:1 personalised training and support £999 48 hours 1:1 personalised training and support £1800 3DCONNECTIONS Non-accredited personal and professional development courses using our 3D platform: 3DConnections for Life: 144 hours non accredited personalised training and support over 12 - 24 weeks: £3600 3DConnections for Work: 144 hours non accredited personalised training and support over 12 - 24 weeks: £3600 DIGITAL HIGHWAYS Accredited personal and professional development courses using our 3D platform: 3DDigital Highways: 144 hours City & Guild accredited personalised training and support over 12 - 24 weeks: £4800 All courses VAT free if purchased by individuals. VAT is added if sold via an organisation. Individuals can be referred or contact us directly. This service can be purchased by individuals from Autus - the Hao2.eu Foundation (http://www.autus.org.uk) using personal budgets or commissioned and fully funded on behalf of a group of individuals in a local area by a local authority or other local organisation. If there is demand for our services but no available funding for individuals or organisations to purchase these please email us to express an interest, inform us of the estimated level of unmet demand and Hao2.eu and Autus will work collaboratively with you to identify and secure potential funding sources wherever possible. 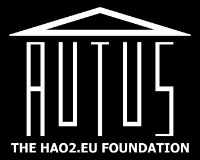 Autus - the Hao2.eu Foundation is a disabled people's user led organisation and the majority of its trustees have autism and disabilities. Autus has been set up to ensure that disabled people wishing to purchase courses are able to do so through a supportive route and benefit from VAT exemptions (saving them 20%) - therefore making their personal budgets go further. Building accessibility is not an issue because our courses are delivered online and can therefore be accessed at a physical location to suit participants. Autism and complex needs, age 16 onwards. Individuals with autism decide whether they want to use our service and subject to availability, we provide the service to them in a way that will best meet their needs. Our taster sessions have been designed to enable individuals to get 1:1 support to try our services so they can then make an informed decision about whether they will meet their needs and which of our courses / support services they should progress on to. We encourage individuals to consult with and get input from parents/carers/support workers and where the courses are being funded from public sources, we encourage referrals through multi disciplinary processes and use of education health and care plans. All decision making processes are designed to support active involvement of individuals and their parents/carers. We communicate with people in the way they prefer as much as possible. At present, we have no waiting list. GETSETGO Short courses using our 3D platform: Job coaching: £50 per hour (before discounts), £40 per hours when 6 hours or more are booked in advance Taster session provided on a 1:1 basis remotely via internet: £99 Taster course provided on a 1-1 basis in person £199 12 hours 1:1 personalised training and support £599 24 hours 1:1 personalised training and support £999 48 hours 1:1 personalised training and support £1800 3DCONNECTIONS Non-accredited personal and professional development courses using our 3D platform: 3DConnections for Life: 144 hours non accredited personalised training and support over 12 - 24 weeks: £3600 3DConnections for Work: 144 hours non accredited personalised training and support over 12 - 24 weeks: £3600 DIGITAL HIGHWAYS Accredited personal and professional development courses using our 3D platform: 3DDigital Highways: 144 hours City & Guild accredited personalised training and support over 12 - 24 weeks: £4800 All courses VAT free if purchased by individuals. VAT is added if sold via an organisation. This service can be purchased by individuals from Autus - the Hao2.eu Foundation (http://www.autus.org.uk) using personal budgets or commissioned and fully funded on behalf of a group of individuals in a local area by a local authority or other local organisation. If there is demand for our services but no available funding for individuals or organisations to purchase these please email us to express an interest, inform us of the estimated level of unmet demand and Hao2.eu and Autus will work collaboratively with you to identify and secure potential funding sources wherever possible. We are members of TechUK and are Ofsted registered via Beacon Education. Our 3DNovations digital learning platform has won a Nominet Trust award. All staff are trained annually in health and safety, safeguarding, ICT security and autism awareness. All learning managers have or are working towards A1 Assessor awards; all directors have or are working towards V1 Verifier awards. We have some staff with NVQ Level 3 Direct Training and Support Qualifications, Qualified Teacher status, Law degree and/or Management and Project Management qualifications, depending on role. Please see attached Customer Care Policy. Please see attached Safeguarding Policy.